Not be confused with the upscale "Dockside Grill" on Sequim Bay, this "Dockside" is a much more blue collar bar and restaurant. Despite certain references to it as the "Darkside" by locals, this apparently represents a step up from the previous Troller Tavern. 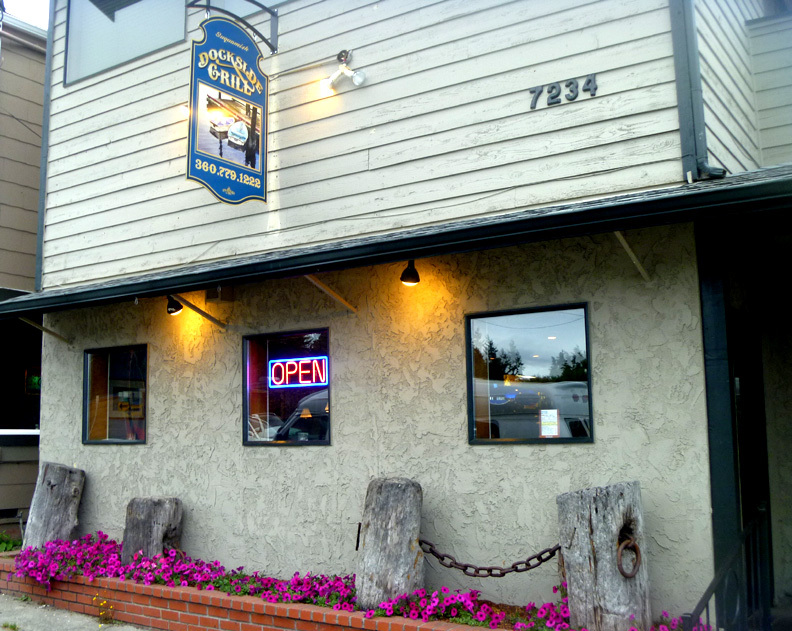 The owners (who also own the Main Street Ale House in Kingston and the Olympic Timberhouse in Quilcene) were inspired to make the changes by a fine and 80-day suspension of the Troller's liquor license. 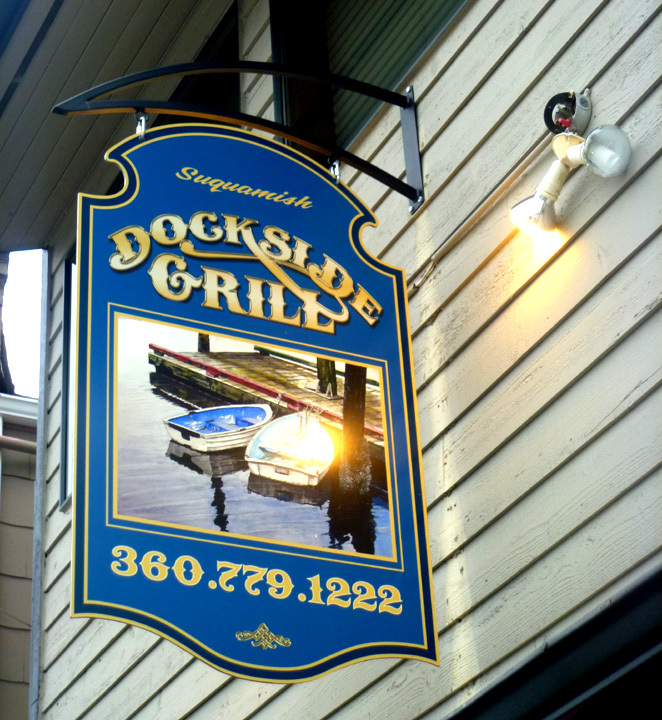 The location is now more of a family restaurant, though still featuring a bar and smoking patio. The drinks are pretty much the standards and the food has a bit more variety than the average pub.